Looking for WordPress SEO Tips and Tricks, read the basic WordPress SEO Tutorial for Beginners below. Name your Blog Posts and Static Pages with SEO in mind. If you create a post about “How to Save Money on Groceries” you should title the post something like “How to Save Money on Groceries” not “Had a Good Idea Today”. Might sound obvious, but many WordPress bloggers title their posts in an anti-SEO way by being too general like the “Had a Good Idea Today” title. Post Slug: domain.com/how-to-save-money-on-groceries/ assuming you’ve set SEO friendly permalinks. 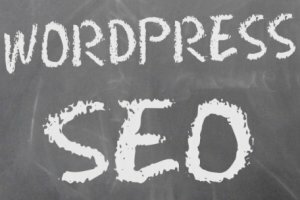 Why not ask a WordPress SEO question in the comments below. How to Prevent Search Engines Displaying DMOZ Data in Search Results? Prevent search engines from displaying DMOZ data in search results for your site. With the WordPress seo plugin turned off does the Talian theme prevent the search engines from doing this? Also when using a sales page for my front page on my site, is it better to have adsense on or not? I have heard different advice, some say yes others no. Will it be possible just to turn adsense off on just one page? Talian 5 doesn’t add the no DMOZ robots meta tag, planned to add it to Stallion 6 (next update to Talian 5), but had forgot about it (thanks for the reminder, still have time to add that feature before release). If your site isn’t listed in DMOZ it’s not needed: most sites aren’t listed in DMOZ, I own around 100 domains, many 5 years+ old and only a few are listed in DMOZ and I’ve never had to add a no DMOZ meta tag. If it is an issue you can manually add the meta tag to your header.php file and not need a plugin for just one line of code. Save the file, upload etc... and you are done. AdSense on sales pages depends which you think makes you most money, AdSense clicks or sales of your product? If you aren't sure test out both options for a reasonable period of time and see which makes most money. In my experience if you sell relatively expensive products where 1 sale a week makes far more than you make on AdSense, it's a no brainer. On the other hand if you are selling cheap products with a low markup as an affiliate (paperback books from Amazon for example), AdSense might make you more profit. I created an ad free page template that can be used with static Pages. If your home page is a static Page you can turn all ads off except the sidebar ad. In a future release I want to add the option to disable ads page by page, won't be with Stallion 6, I've stopped adding new features (I've lost count how many new features I added: 6 ad networks for example, AdSense, Chitika, Clickbank, Kontera, Infolinks and LinkWords) and working on testing now before the release. How to Change Number of WordPress Posts on Home Page? I am now trying to do as what you told me for designing appearance. But I want to show my posts about 5-7 on my Home page. In fact, your default is 10. SO where can I change it? Remember not all settigns will be Stallion theme based, you should take a look at the various non Stallion options pages under Settings where a lot of WordPress core settings are located. How to Speed Up Images Loading on Web Pages? I have seen many images on your websites. Images consume load time. especially those with a high pixels. Do you take any practice to minimize the load time other than wp super cache? 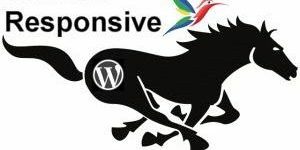 If you’ve been using the Contextual Related Posts plugin from this site I’ve made another version at WordPress SEO Plugins (calling it Stallion Related Posts WordPress SEO Plugin) which uses Timthumb built into Stallion for the thumbnails, so this will reduce the load on the images as described above. 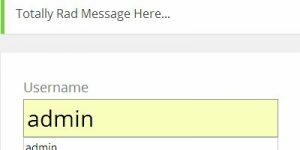 When I update Talian I’ll add the option into the related posts plugin for Talian as well. I am still using Tallian ver3 and haven’t upgraded yet because of the so many CSS changes I have made to the theme. Can you please direct me on how to make a code of adding thumbnails to the category pages where the posts are presented (putting each post’s image thumbnail near the text link). I guess it is very similar to the “Related Posts WordPress SEO Plugin” code where the default (no image is a dog). Adding thumbnails to a WordPress theme isn’t an easy thing to do, every archive template file needs the code and it needs to be built into the theme in otherways. The code I use for Stallion 6.2 (and will be added to the next release of Talian) also includes specific code for other Stallion features like the Stallion featured images, so not possible to add it to Talian 3. If you are set on not upgrading from Talian 3 look to see if there’s any thumbnail plugins as I’m not making any changes to the Talian 3 code (not looked at Talian 3 in years). You are missing out on loads of features sticking with Talian 3, Talian 5 (40+ options) was a big update and Stallion 6 (250+ options) was a big update from Talian 5. >> Adding thumbnails to a WordPress theme isn’t an easy thing to do, every archive template file needs the code and it needs to be built into the theme in otherways. I managed to add a thumbnail to the category page. I am grab the first image from the post and display it side by side the link. Once done, you can simply call the function within the loop to display the first image from the post. I’m using more complex thumbnail code for Stallion that uses a thumbnail upload feature built into Stallion (you can upload an image to use as the thumbnail) or links into the WordPress featured image feature or uses a YouTube screenshot or as a last resort grabs the last image from the post (your code does the last part only). Stallion also links into the Timthumb.php script to keep the thumbnails small, you can upload a 1000px by 500px image and it will generate a thumbnail using the exact size (say 180px by 120px) you set under the Stallion options page. The thumbnails are also used in combination with the Stallion SEO Super Comments Feature: if you click the “WordPress SEO Theme Talian 5 with AdSense/Clickbank Ads” link on the bottom right corner of this comment it takes you to the Stallion SEO Super Comments version of the comment (a Google indexable SEO’d page generated from this comment) and it’s using a thumbnail from this post (all automated). The Stallion SEO Super Comments pages can generate SERPs in their own right on sites that have a fair number of comments. This will soon all be added to Talian 6.3. That’s not a layout with a sidebar dropped below the main content, that’s the same as how Talian/Stallion loads it’s AdSense ad code, just simple floats. The way it’s done on that page is not going to be possible with a WordPress theme to have a sidebar where you want it, the actual end product might be possible, how they probably do it, no. What they have probably done (without looking at the code in detail) is add a couple of floated divs one to the left and one to the right, that’s really easy to do when you have the same layout over the entire site, but you don’t on a WordPress site because you have archives. Where would you add simple floated divs on archive pages? As a side note this entire site is filled with left and right floating content, all the widgets with thumbnails are left/right floats, even your Gravatar image is floating (I use float a LOT). That’s why you’d have to add some nifty CSS coding I mentioned before, creating an empty block of code within the main content area that you either absolute or relative position the other code (your right sidebar) over this empty block. See the empty block to the right, I had to set the height to 200px, not even sure you’d be able to use this as the height needs to be variable and not set. This is the code layout for all Talian/Stallion settings (doesn’t matter which Stallion layout is used, the positioning is CSS based). It’s based on a Holy Grail CSS 3 Column Layout (do a Google search or two for Holy Grail CSS 3 Column Layout). It was difficult to achieve this with Talian, basically put sidebars code wise after the main content, had the left sidebar float left, content float right and right sidebar float right (something like that, they were three floats :-)). It was unbelievably difficult to achieve with Stallion because Stallion wasn’t fixed with a left and right sidebar, the sidebars can be stacked using CSS which meant the ‘standard’ Holy Grail CSS 3 Column Layout didn’t work. I forget exactly how I did it with stallion (took hours of trial and error to get right because I couldn’t find a similar example online) basically each of the 12 Stallion layouts has their own layout CSS file and the codes different for the main layouts left/right, all left, all right, no sidebars. How to Add WordPress Widget Areas Within Content? Yes, now I see the NYT wasn’t the best example to what I want, but only to show how they try hard to put some widgets inside the content. will have some SEO implications, because the source code will list the left sidebar content before the main content. ((Probably the reason for the current layout is to keep the main content above the other stuff – I know the SEO power of the Tallian/Stallion)). Some SEOs believe its very important, one of those SEO factors I’ve not tested and went with the “better to be safe than sorry option” since it won’t cause harm pushing the important content high code wise: makes logical sense what a search engines reads at the top code wise is more important than what’s at the bottom, so if you can have the important content higher up, you should. I personally wouldn’t change the main code to that level just in case. CSS changes are SEO neutral, which is why all Stallion layout changes are CSS and not HTML based. BTW if you updated to Stallion you might be able to achieve what you want to some degree. Select a left sidebar layout which put all the content on the right and use the content widget area (not available with Talian) for loading widgets directly within the content. Where in Talian there’s an AdSense ad floating to the left/right of the main content, in Stallion there’s also a content widget area there as well that can float left/right or center. Still wouldn’t be exactly how you want it and would run into problems with the archive pages, but it’s a lot closer to what you want than Talian is. Maybe with some CSS changes you could push the content widget further down the page and put your sidebar widgets within it. In your first post you mentioned doing this for the larger ad units, upgrading to Stallion and using the 210px wide left sidebar layout would allow for the 728px wide ad unit without any other code changes where the Talian floating ad unit resides. This is a post using the 210px left layout doesn’t have an ad (don’t use ads on that site), but you can see a 728px ad would fit in the main content are easily. You could also with minor code changes have the content widget area load after the AdSense ad unit on the right as well. There are so many more design options with Stallion as you almost certainly have a Stallion ID would make sense to work with Stallion. The left sidebar is key for navigation purposes (categories) and for putting some ad units (160×600) down/up the scroll – That’s one of the reasons I still work with Talian. For me, having the main content higher up the source code is an important factor. SO, I’d give up making changes that could harm that order. Yes, I see why the archive pages are going to be affected as it is a sidewide change. But, this proposed layout could be good option for a new them, or even series of SEO themes. For some reason the videos on my website are not loading… just showing a black screen in its place. Have you run into this problem with Stallion 7.1.1 ?